“Only” 1,371 bike/car crashes were reported in 2017 [so far]. That’s a fairly low figure, which is likely to change as Ohio’s 800+ Law Enforcement Organizations finish up their reports and get them in. Rather, perhaps an administrative change in the definition of the type of crash which would generate a report and “count” in the stats came about and the number went down dramatically. Deaths and serious injuries stayed the same, but the lesser crashes were not reported as frequently. What was this magical “administrative change” you ask? It used to be that $400 in property damage was sufficient to generate a crash report that added to the total – the State bumped up the minimum damage for reporting such crashes to $1000 and the number of crashes dropped by 25%… don’t you just FEEL 25% safer? 19 Ohio cyclists were killed on the roads. We are still in the process of obtaining the full and complete report for all 19 fatalities. Some, many, are still be prosecuted or investigated, so we only have preliminary information. 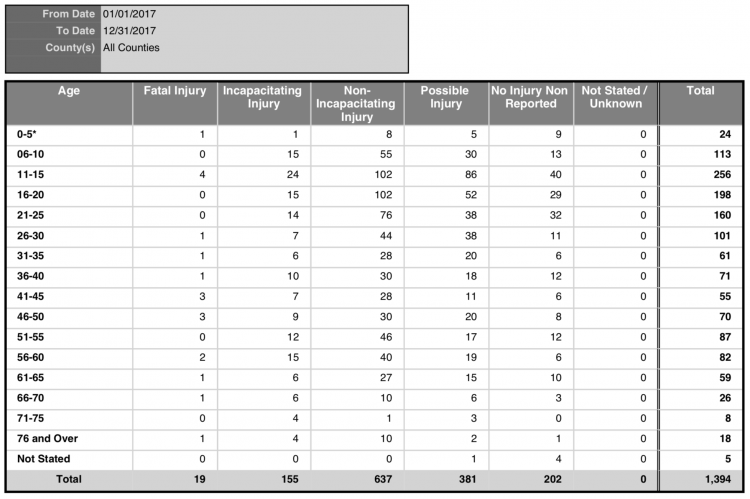 Every report I read about crash stats on a national basis tends to say that most fatal crashes occur in “Urban” areas. However, that’s just not true in Ohio. As the chart below shows, in 2017 only 3 of 19 fatalities occurred in areas with a population in excess of 50,000. In fact, 12 occurred in cities/areas with populations of LESS THAN 10,000! Here in Ohio we certainly have some bigger urban settings – Cleveland, Columbus, Cincinnati, Toledo, Youngstown, Dayton, etc etc. 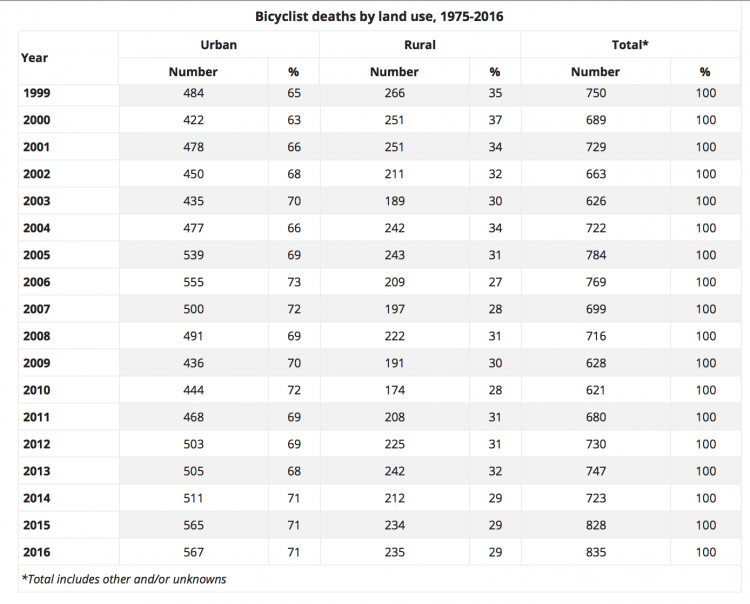 – and cycling is skyrocketing in many of these settings as local clubs and advocacy groups are doing a fantastic job in getting “butts on bikes”… However, only 15% of Ohio’s cycling deaths in 2017 occurred in bigger cities and 85% occurred in rural areas. 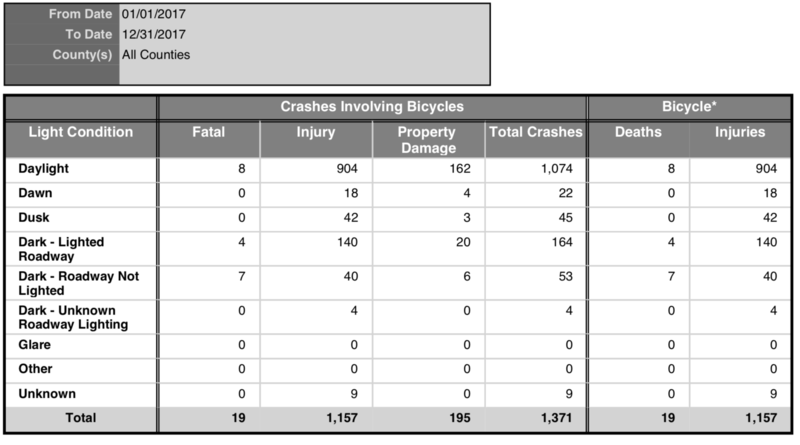 The IIHS [an insurance-funded group that studies crashes and puts out “crashworthiness” ratings for cars] has a “Bicycle” stats page. Here’s what they about the “Trends” of cycling crashes nationally. As you can see, their breakdown, nationally, is that 71% of cycling deaths over the past 3 years have occurred in URBAN not “Rural” settings. Again, this could represent sort of definitional quirk but we’re simply not seeing that “trend” here in Ohio. Darkness… is NOT your friend. 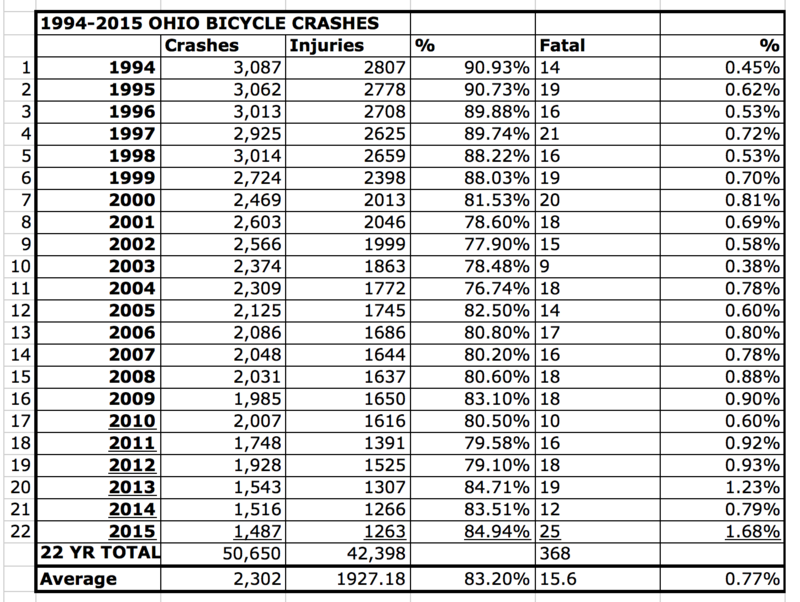 Clearly a small fraction of Ohio’s cycling occurs in the Dark but a BIG Fraction of our crashes and an even BIGGER Fraction of our cycling Deaths occur in the Dark… That’s a huge issue. Once we have the full crash reports we can issue some details and facts to go behind the numbers and see what really happened. Are those killed while riding bicycles in the dark doing stupid things? Are motorists doing stupid things? Are the cyclists lit up appropriately? Were they riding legally? Were they serious riders? Commuters? People riding to work? Riding home from the bars? Folks just out riding around in the dark?? We will continue to monitor the safety of Ohio cyclists. From an overall perspective, Ohio remains a VERY SAFE place in which to ride a bicycle. 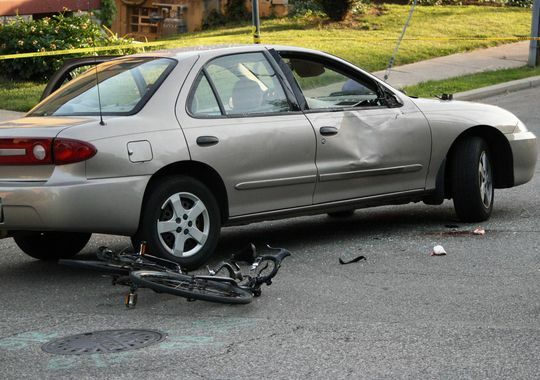 Bicycle Crash Statistics – IS IT SAFE TO RIDE? Alcohol but not Drugged driver catagory listed above. Important stat would include all bike-car crashes regardless of injury as the cyclist may have been lucky not to be killed/incapacitated. The perception of safety is critical – if a rider does not feel safe they will not ride, which is why I am working locally to develop more cycling infrastructure. In Cincinnati area we are fortunate to have several trails and some on-street facilities.